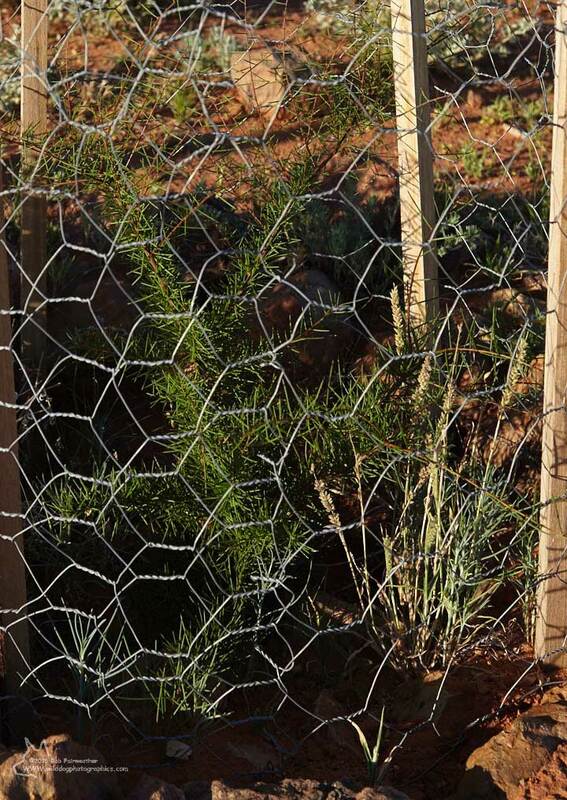 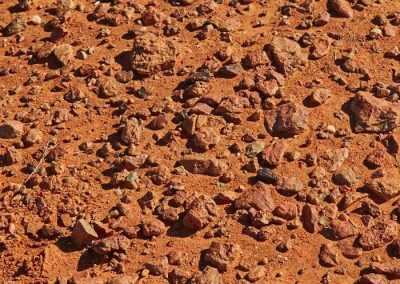 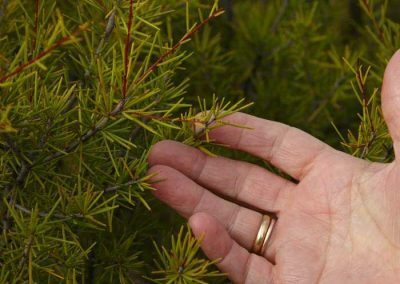 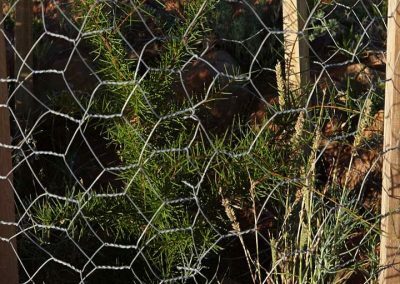 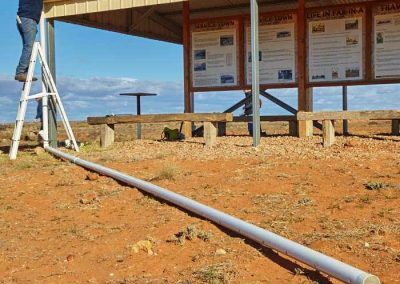 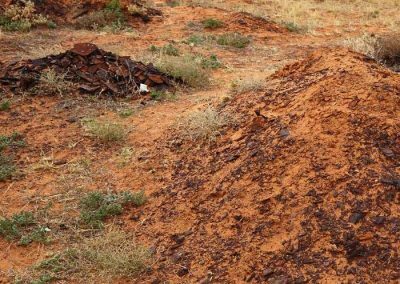 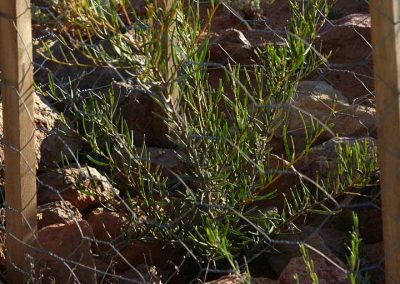 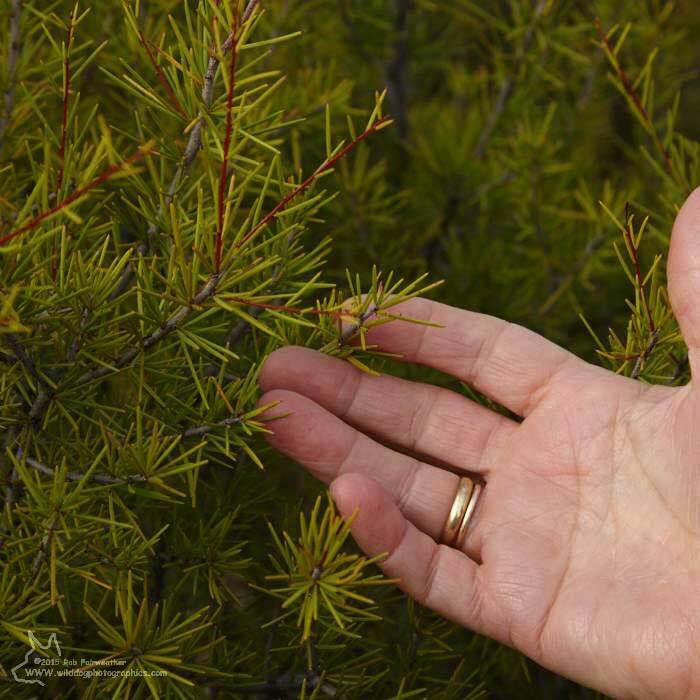 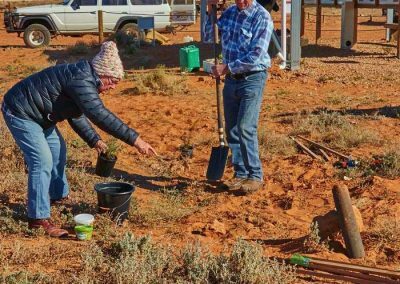 At the Cullulleraine conference, it was decided that an attempt would be made to restore plants typical of some of the vegetation that we considered was originally present in the Farina township. 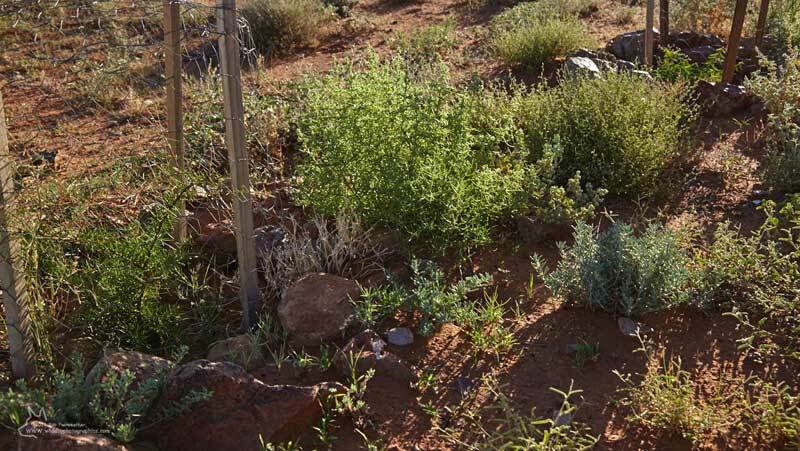 Obviously this was going to be a rather difficult task considering that during the establishment phase any new plants would have to survive the first brutal summer unaided by an ever-present gardener with a watering can! 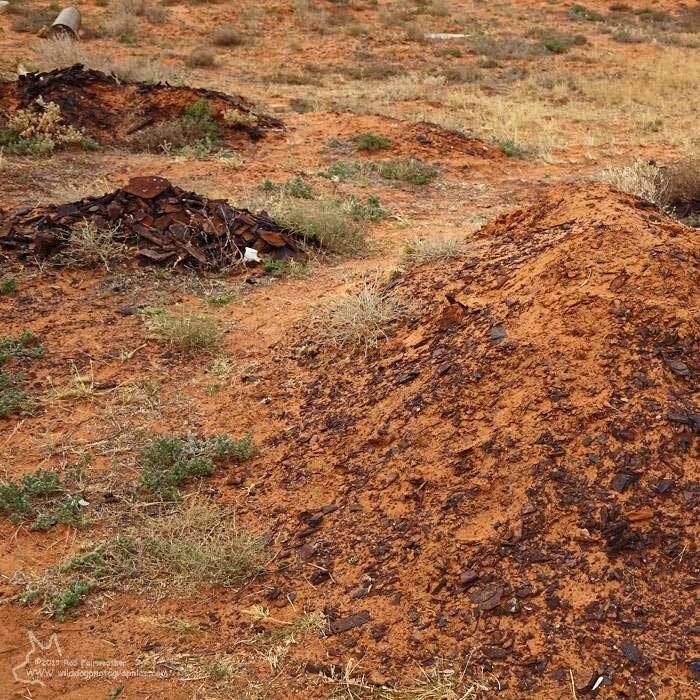 A task-force of 3 was formed to investigate the possibilities. 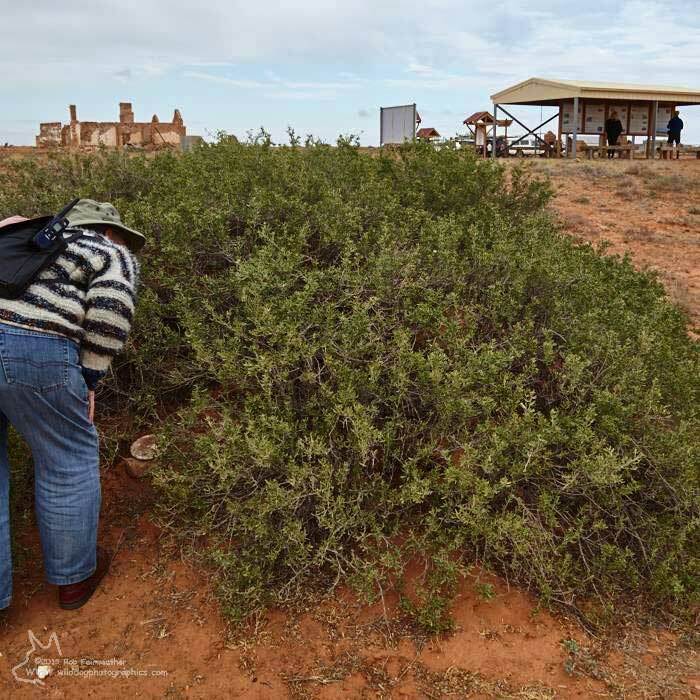 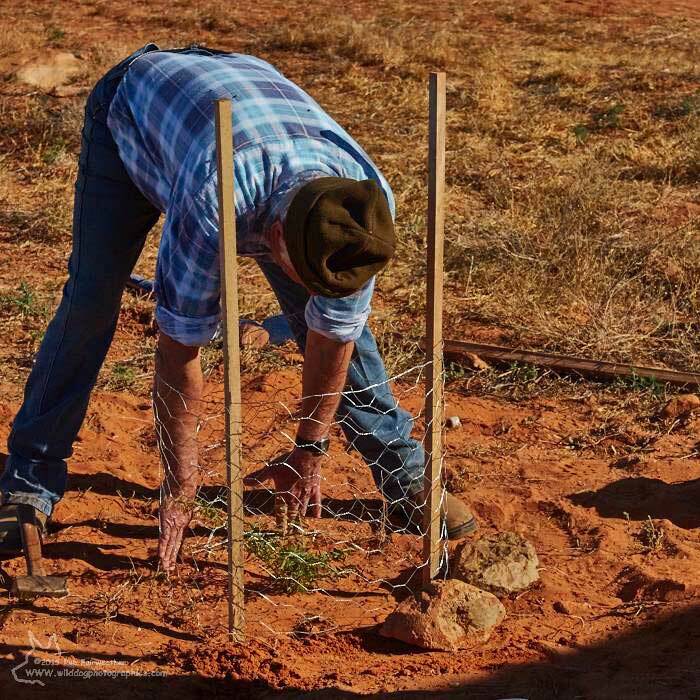 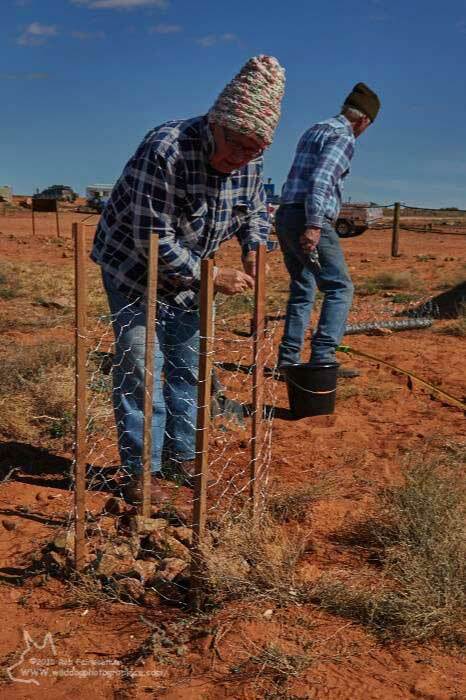 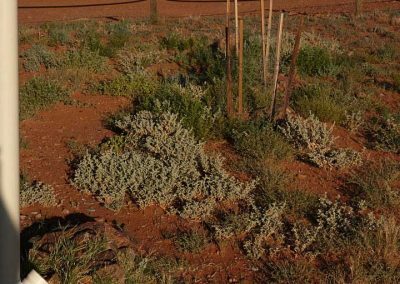 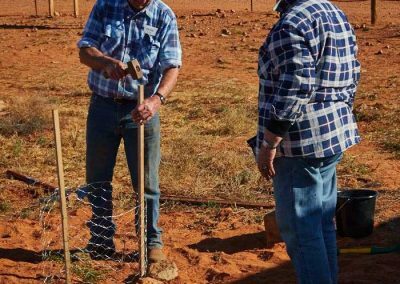 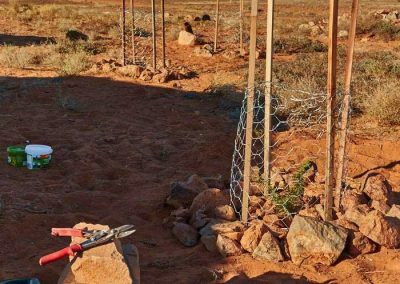 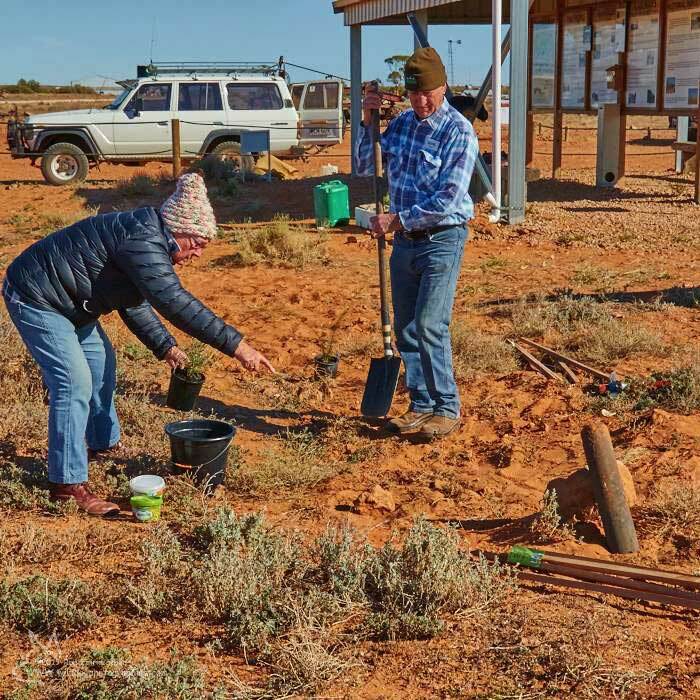 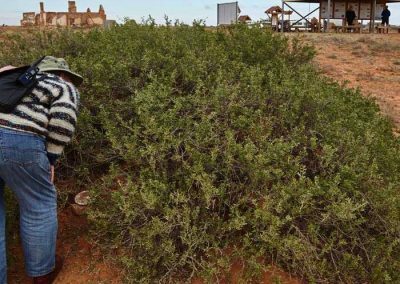 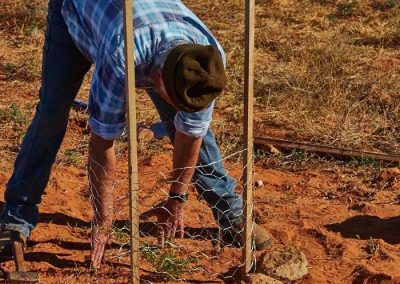 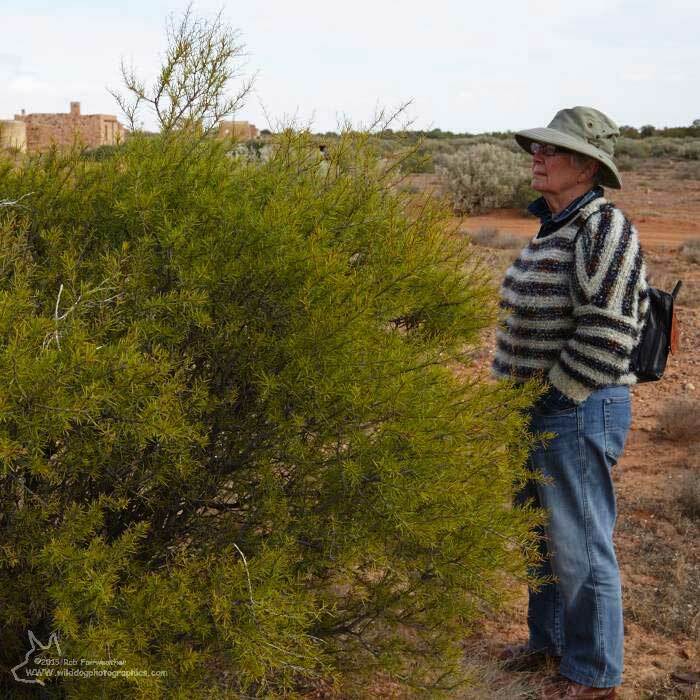 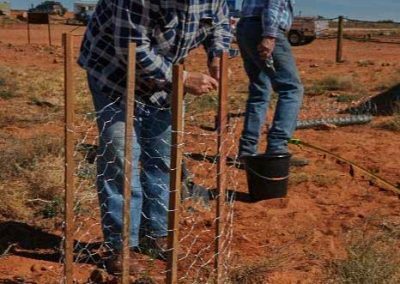 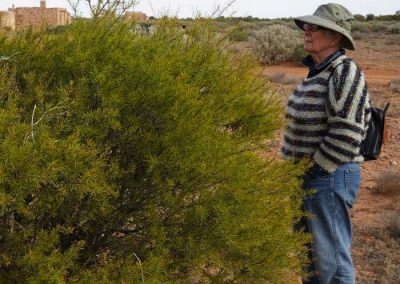 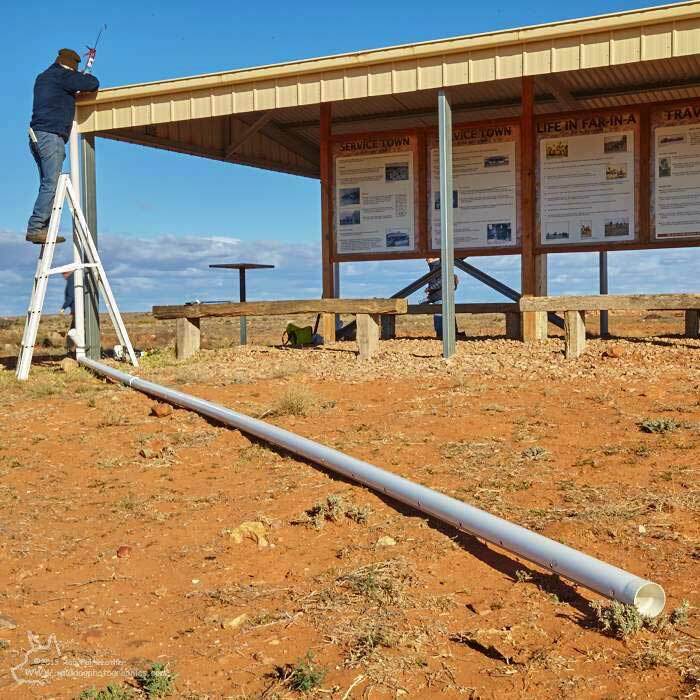 Peter Cram, Helen Fairweather and Julie Bolton combined their various expertise, and after also consulting with John Zwar (originator of the Port Augusta Arid Lands Nursery), and conversations with Bernie Haase at that Nursery, decided to install a trial planting of just 5 plants. 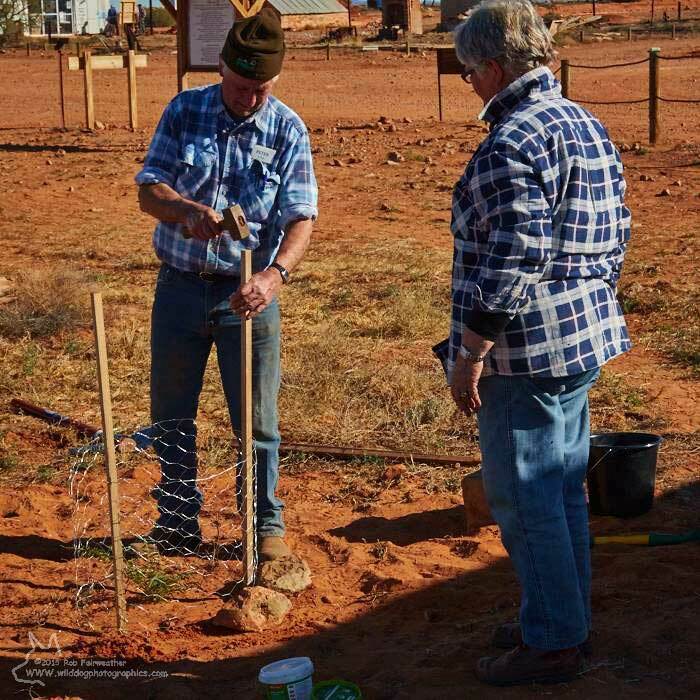 Each of the new plants were placed adjacent to this dripper feed to make maximum use of the (hoped for) extra sub-soil moisture. 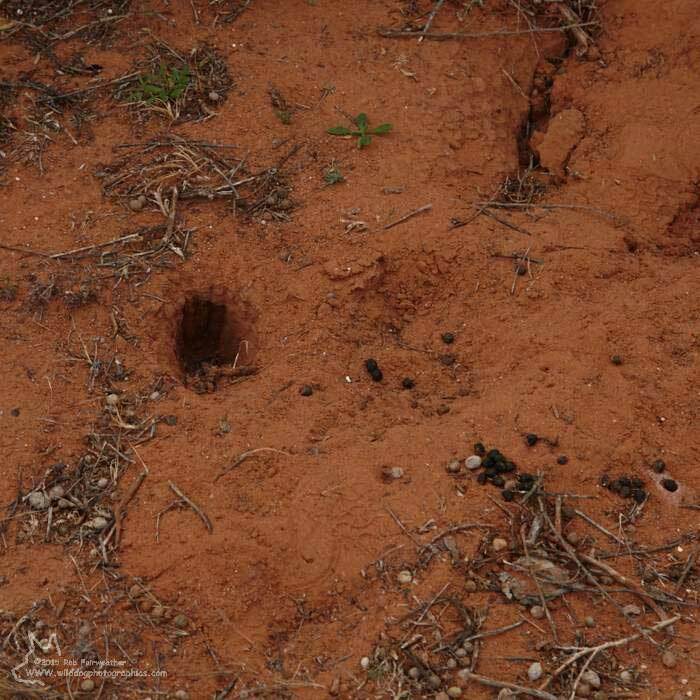 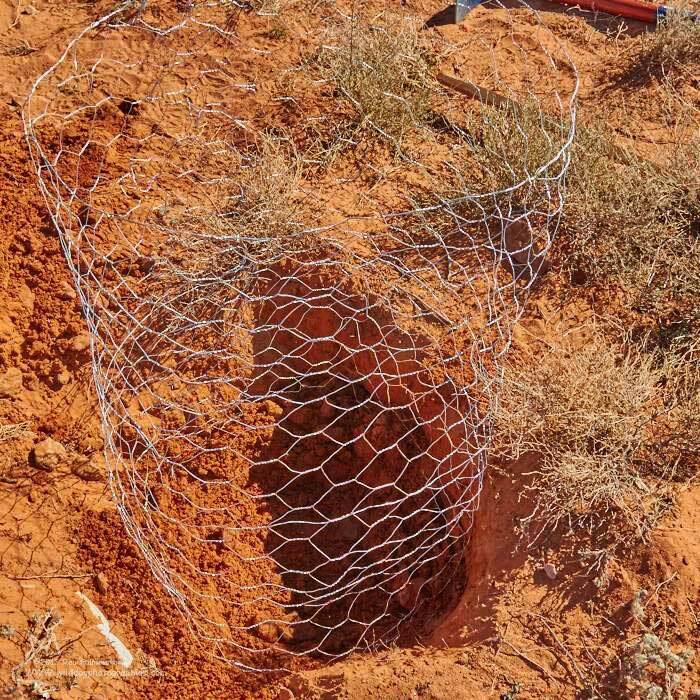 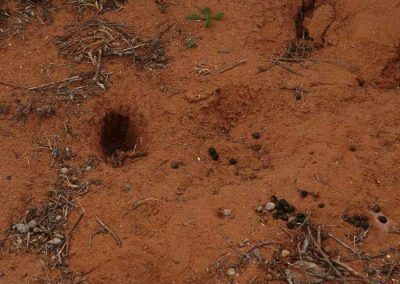 We dug holes for each of the plants that were at least 60cm in diameter larger than the diameter of the wire mesh guard that we used around the plants. 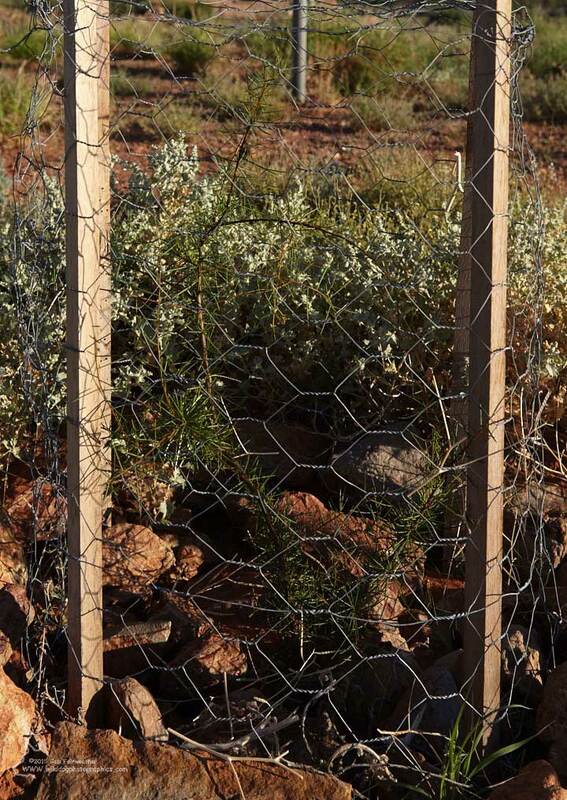 Each guard had 4 x 25cm equidistant cuts made up from it’s bottom, then the 4 “tabs” were bent out to be horizontal. 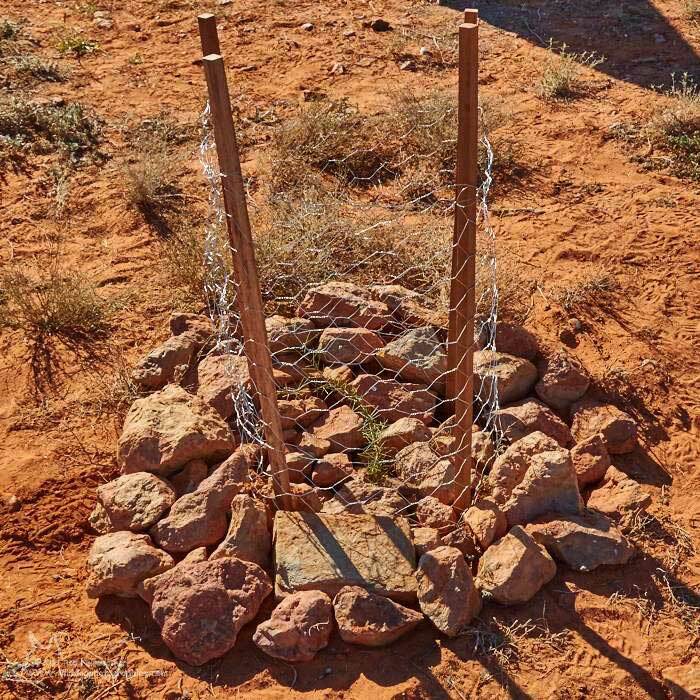 Each tabbed guard was then lowered into its hole, and a layer of large rocks were used to cover the tabs, and fill in the gaps between each of them. 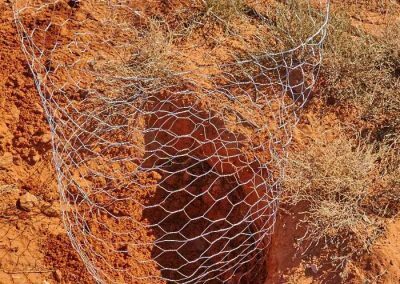 The plant was then lowered into place and back-filled with sand (containing a small amount of slow release fertiliser and water crystals), bringing the level up to just below surrounding ground level. 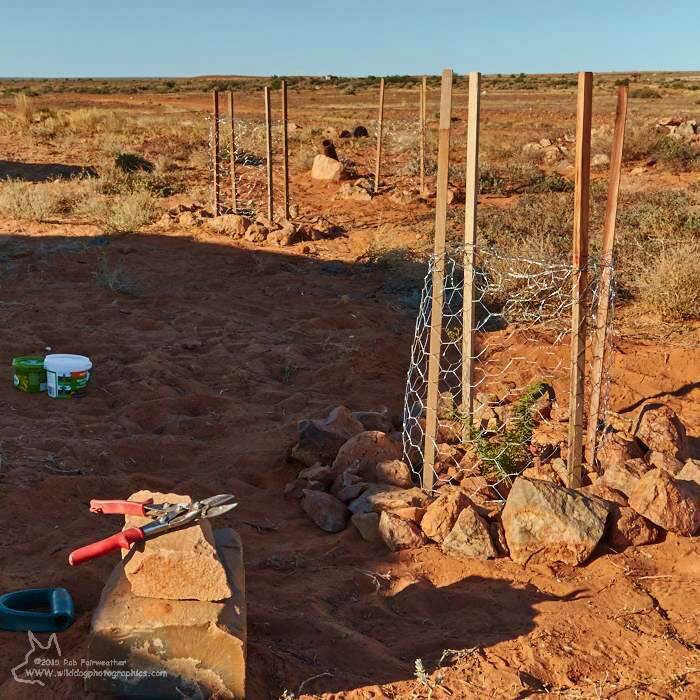 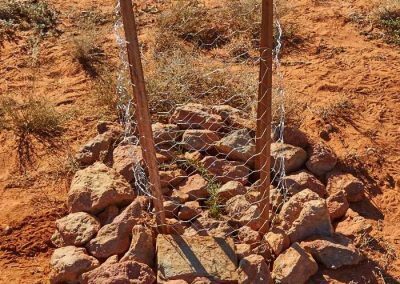 Next we placed a mixture of large and small rocks around the guard to further impede any pesky rabbit from digging past our underground guards, we also covered the soil inside the guard with a layer of small rocks as a mulch around the plant. 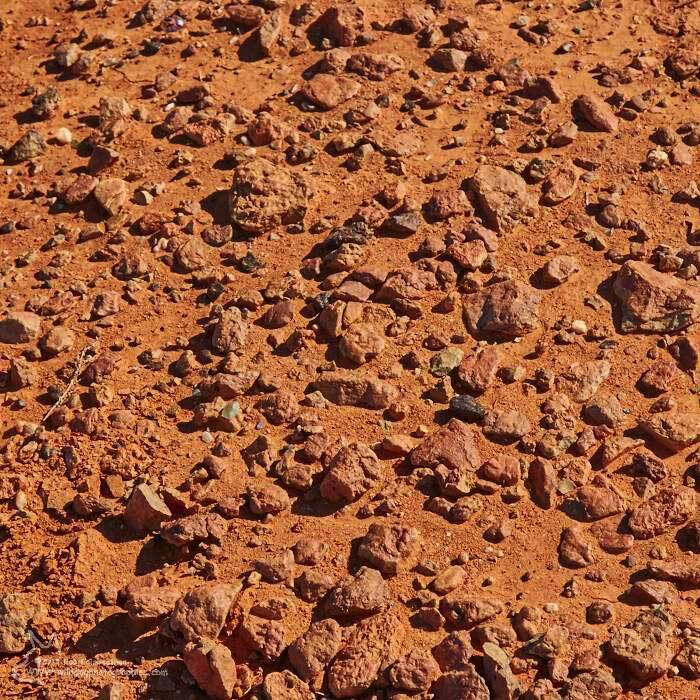 Check out the second row of images, far right for the final appearance. 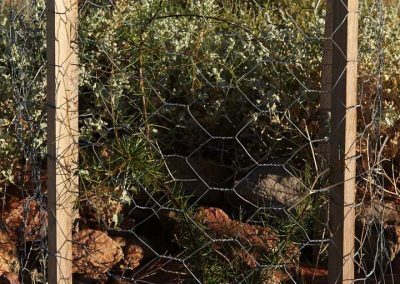 More mesh was stitched over the top of each guard to protect against ‘roos. 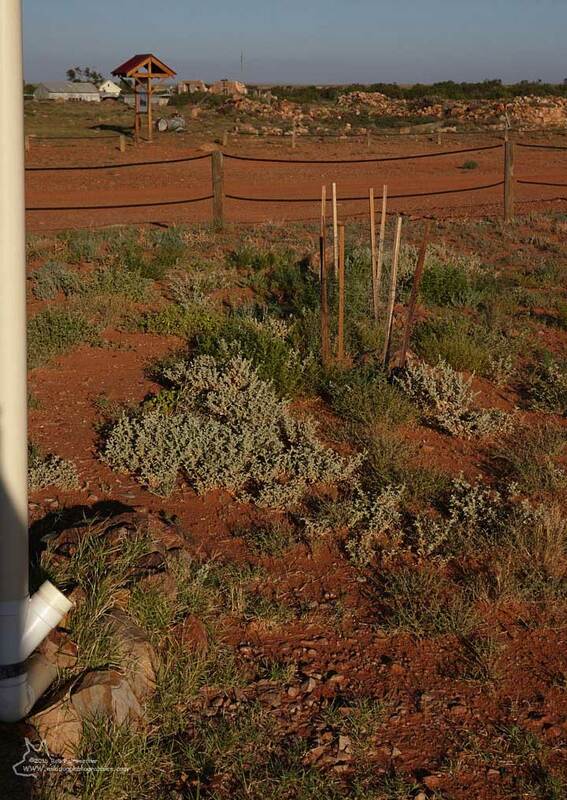 As a backup to anticipated rain and heavy dew, at the bottom of each down-pipe feed, before the right angle bend towards the plants, we have included a capped hand watering point for use in (early) dry periods. 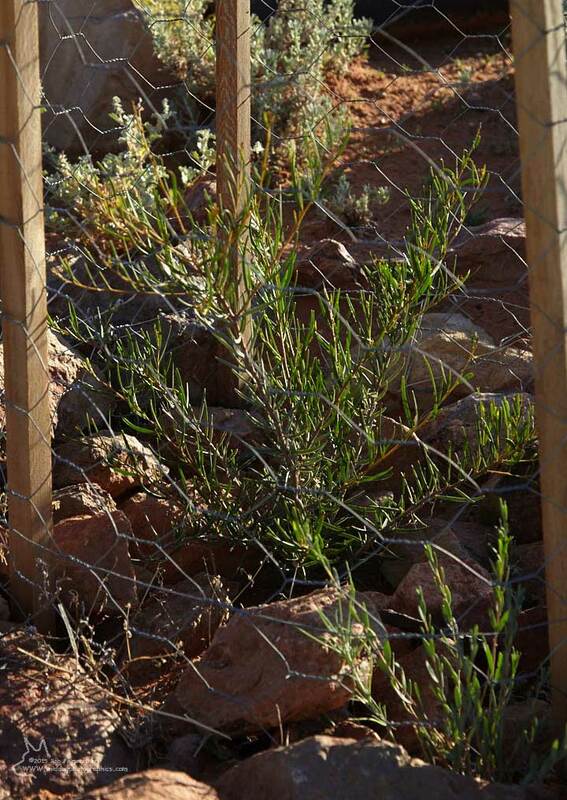 During a short visit to site late in January, we found that none of the plants had been lost. 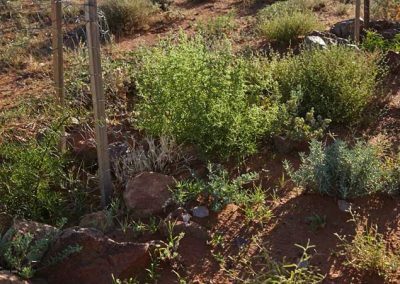 Although one showed signs of early stress, it had recovered very well after recent rains, and so all plants were putting on rapid growth.